“Food and garden waste are the main sources of organic waste. 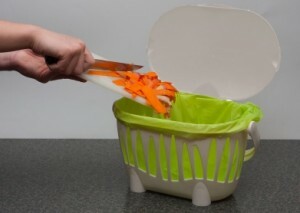 Currently, most people put organic material, such as food scraps and garden waste, into their general waste bin. This adds up to a significant amount of valuable resources going into landfill that could be better used elsewhere, such as compost for local growers to improve soil fertility,” it says in the company’s media release. Cleanaway is a subsidiary company of Transpacific – Australia’s leading waste management company. “We are excited to be part of the introduction of kerb side organics collection in the region, and commend this innovative initiative and Albury City Council, City of Wodonga, and Corowa and Indigo Shires foresight. Cardia Bioplastics organic waste mangement products were developed for programs such as this,” said Cardia Bioplastics Managing Director, Dr Frank Glatz.